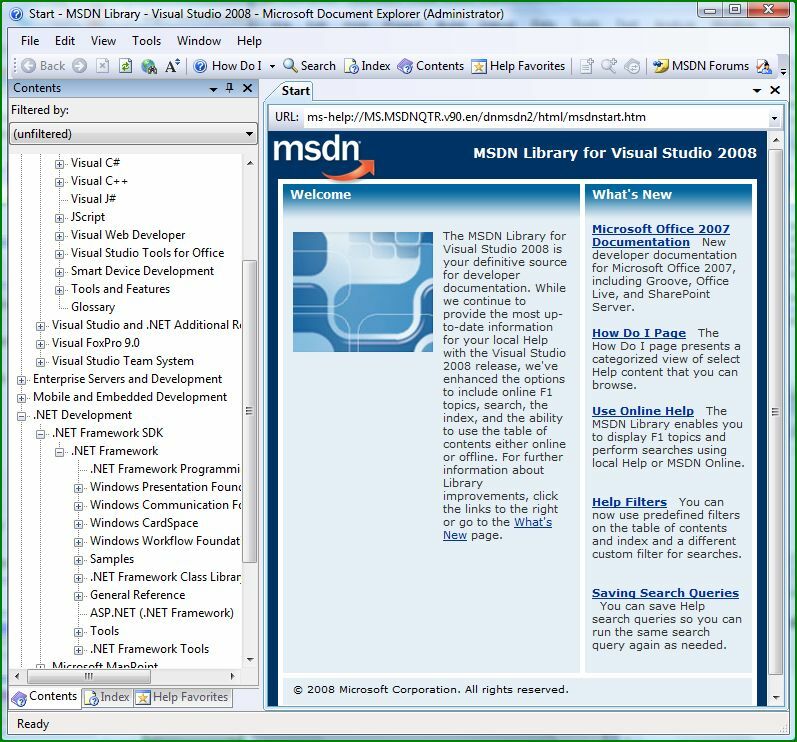 Figure 5: Screenshot of MSDN 2008. New documentation for Office 2007, Windows Presentation Foundation, Windows Communication Foundation, etc. The look, feel, and functionality of the Visual Studio installation program remained steady during this century (for the past seven years or so). After installing so many versions and editions of Visual Studio, it feels like I know what screen is coming up next. These are the primary programming languages that you can use to create programs with Visual Studio. You can install three programming languages: Visual C#, Visual Basic, and Visual C++ (In addition, Visual Web Developer comes with ASP.NET). The language Visual Basic.Net has been extended to fully support the .Net Framework based development. Typically, the support for C# and Visual Basic go in parallel. Except for the small syntax related differences, same program written in Visual C# and Visual Basic.Net look very similar to each other. C++ is a venerable and powerful language with a wonderful history. But, this might not be the best programming language for pure .Net Framework development (if you have a choice, of course). When you install this, you will get all the ‘old’ stuff as well (the Win32 programming, ATL/MFC, etc.). Still there are plenty of companies and products that are based on just Win32 (i.e. no .Net component). Under the language tools, you will also see the Visual Web Developer. This is for web development using C# or VB (out of the box). Other languages like IronPython can also be used. Here you can install the SDKs that can be used to extend the Visual Studio interface and behavior. 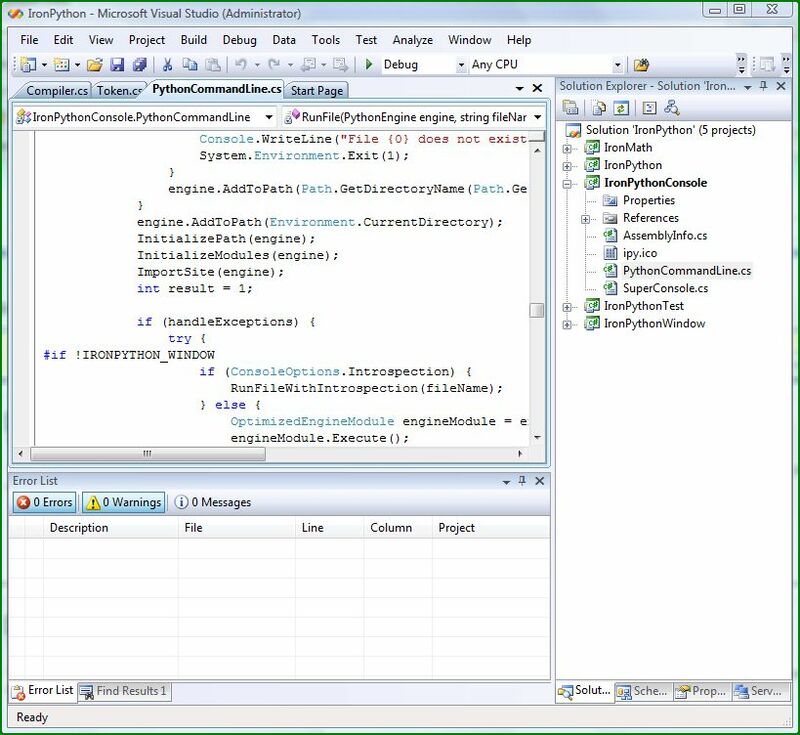 You can also install DIA SDK (Debug Interface Access Software Development Kit). As the name suggests, you can play with symbolic information inside the PDB files. Whichever programming language you use to develop .Net Framework applications, all these compilers will translate the code in your language to code in MSIL (Microsoft Intermediate Language). This code can be reverse engineered into any of the popular programming languages without any difficulty at all (using tools like Reflector). The Dotfuscator makes the names in the generated MSIL less friendly (among other things). So, even if the generated code is reverse engineered, the code will not be human-friendly. These are for creating setup and deployment projects. A simple/sample graphics library is also included. These features are available for you if you are installing Visual Studio Team System (not the other editions). You can develop automated tests to test the functionality of your programs. Also included are tools for performance measurement and code analysis. Typically, the web/windows programming and the database development / administration are done by two separate sets of teams with different skill-sets. With Team Database Edition, the database structural changes can be versioned. Visual Studio comes with full integration of SQL Server Express – meaning, your programs can easily create and manipulate SQL Server databases/tables/etc. without any hassles. These pieces can then be moved to the server database at a later time. Visual Studio 2008 comes with SQL Server 2005, because SQL Server 2008 has not beeen released as of Nov 2007. 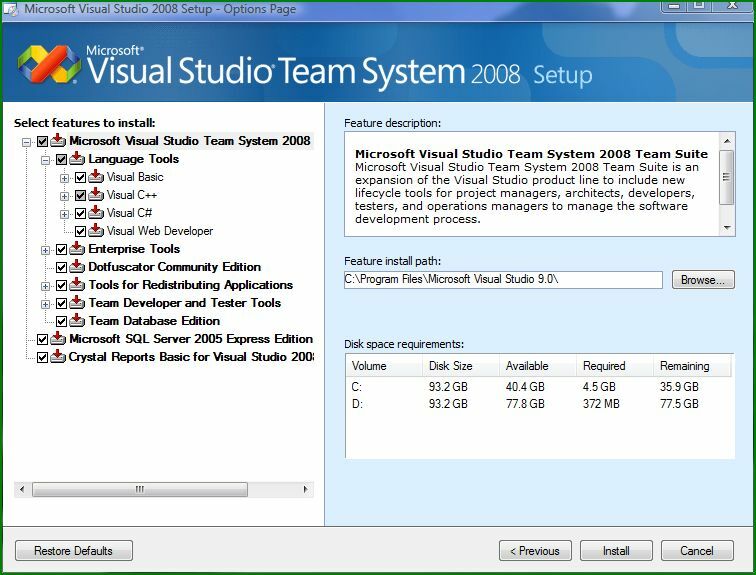 While Visual Studio 2008 has already been released in November, 2007, the SQL Server 2008 is expected to be released in February, 2008. Crystal Reports is a powerful reporting tool that is distributed with Visual Studio. This has been bundled with Visual Studio and its predecessors since the 1990’s. 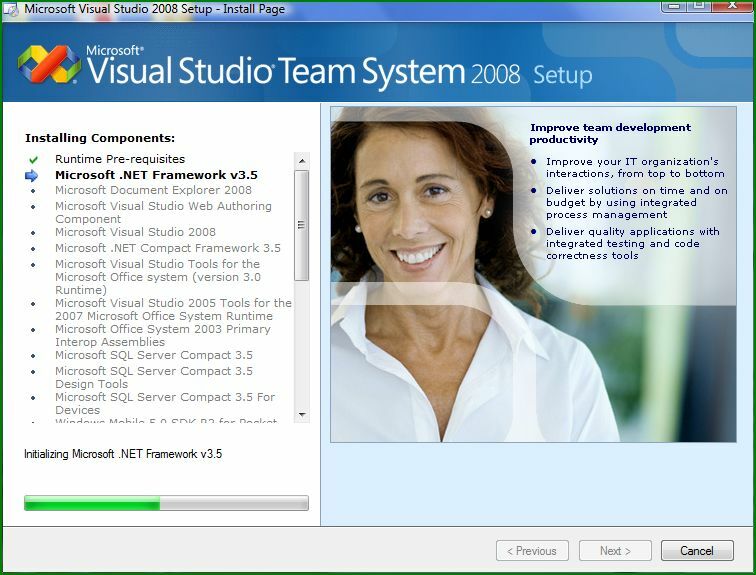 It took a long time for the .Net Framework Version 3.5 to get installed. The machine didn’t have that version before, so, one should except that it would take some time for all the dlls from this gigantic release to get copied. At some point, I actually thought there was something wrong with the installation, but the patience was rewarded in the end. 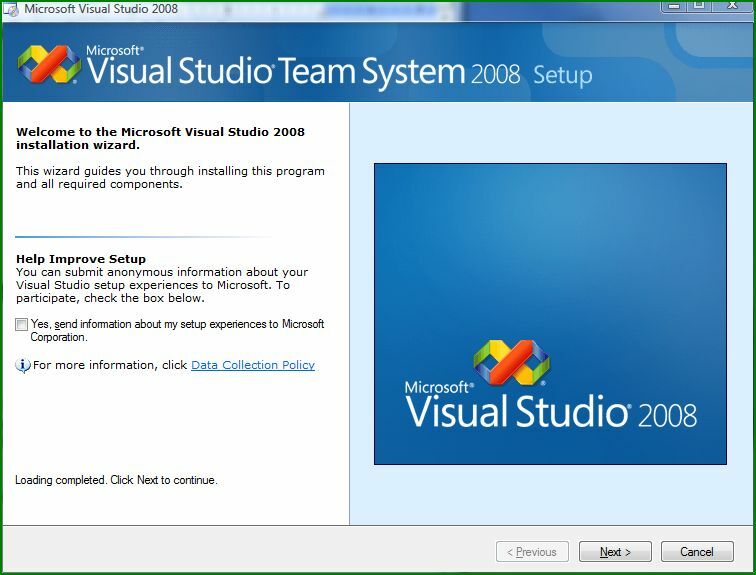 The other component that took some time is Visual Studio 2008 (the individual piece, not the whole installation). The whole thing took between 3-4 hours on my Windows Vista machine with a decent processor and 2GB of RAM. Add to this, uninstalling the Visual Studio 2008 Beta 2. It is a well known practice to double click on a control in the design window to create the signature for the standard event handler for that control in the code window. But when it is time to create a different event handler for that control, you might have guessed the parameters or copy pasted from somewhere else. There is a quicker way.